Question #1: If your friend writes a review of your book, does that negate it as an objective critical assessment? Question #2: What is friendship, anyway? 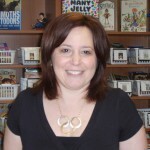 I first “met” Franki Sibberson through her blog, A Year of Reading, co-written with Mary Lee Hahn. (You can read about them here, from a nice piece at possibly the world’s greatest children’s literature blog, Seven Impossible Things Before Breakfast.) 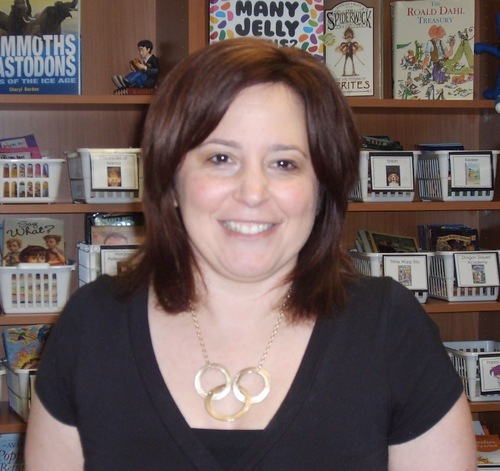 If I recall correctly, Franki suggested that a character in one of my books, Miss Lobel in Along Came Spider, might be included in her ever-evolving list of 100 Cool Teachers in Children’s Literature. In response to that, I believe that I bought Franki a car. Or maybe commented favorably on her blog. Something like that. Time passed, as time does, and last year I was given the opportunity of attending the fabulous 2012 Dublin Literacy Conference. You know, the one that’s not in Ireland. On that happy sojourn, I arrived at Franki’s school as a visiting author and we had a great day. So, yes, I confess: We became friends. But not the hugging kind, mind you, since . . . Franki Don’t Hug. Got it? Okay. So just back it up, fella. One more step, good. Our friendship is on a firm handshake basis. Anyway, we are friends. That sometimes happens when librarians and authors meet and get a chance to hang out. Today, of course, I deeply wish that I wasn‘t friends with Franki. Wouldn’t her kind review of my new series be more valuable if, say, we hated each other? If only we were mortal enemies somehow — a long enmity passed down through generations! — and Franki Sibberson despised everything about me! — and yet still, even so, felt compelled (reluctantly, bitterly) to write a nice review of my book? That, my friends and neighbors, would be a review worth chirping out! Anyway, I’m rambling & my stomach is rumbling & I’m afraid I’m not making sense. So, there’s this: Thank you, Franki, for your kindness. Here: a fist-bump across cyberspace. 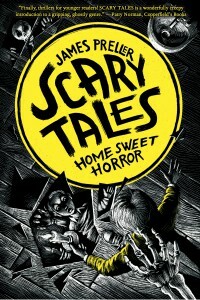 I felt like I won the lottery when I was handed an ARC of James Preller’s new book (the first in a new series–HOME SWEET HORROR (SCARY TALES SERIES). 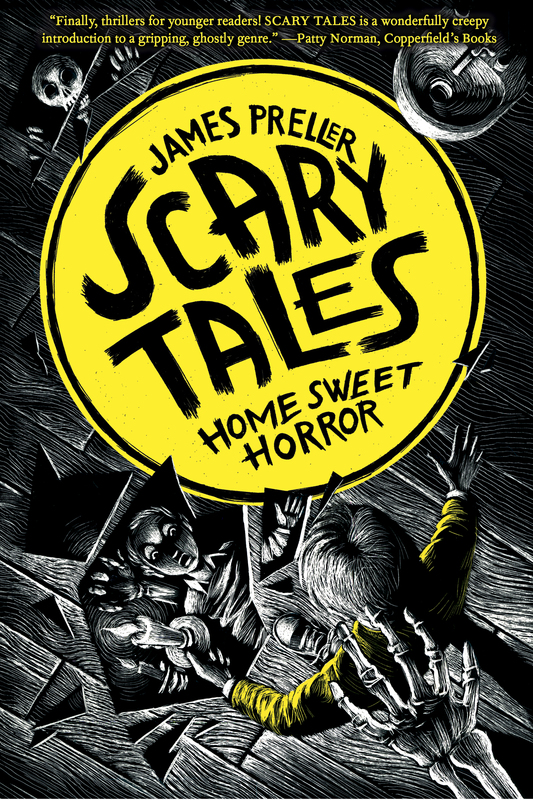 I had heard about this series as I am a huge James Preller fan (because he is one of the best author visits ever). But I didn’t know the arcs were available yet. So I was thrilled to get one when I had asked for books appropriate for 4th grade at his publisher’s booth at NCTE. This was the first on my stack that I read when returning from NCTE. I actually took it out of a child’s hands so that I could read it over Thanksgiving break. And I loved it. Come back next week for another impartial review . . . from my mom! Love this! And I would have reviewed it this way whether we were friends or not! So you can count it as a good review-no problem! P.S. The car did help…..